FBI Special Agent in charge Ronald Hopper briefed reporters in Orlando, Fla., on Wednesday regarding the terror attack at Pulse nightclub early Sunday that left 49 people killed and at least 53 wounded. He explained the bureau’s ongoing investigation is a matter of examining the details of that night and the facts leading up to the shooting. “This was an act of violence born out of hate that inflicted terror on an entire community," he said. "So I would call it a hate crime. I would call it terrorism. It’s both." Hopper noted that there are no impending charges at this time. 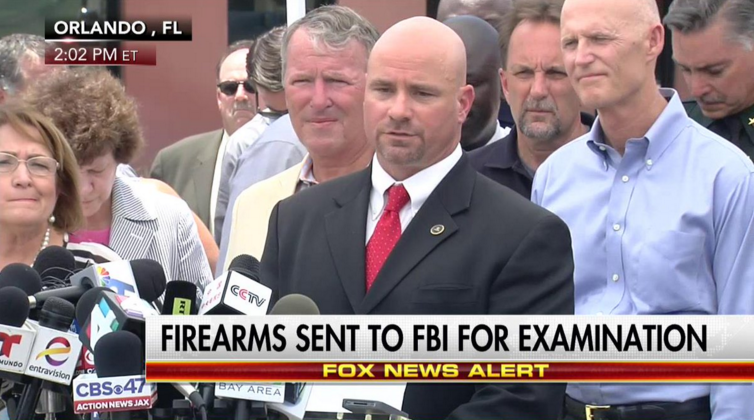 The shooter remains the main subject of the FBI's investigation. He refused to comment on what types of firearms were used.